When tragedy strikes, President Trump is usually the first one to grab his phone and tweet unfounded accusations and assumptions about the incident. That is, as long as it fits his narrative. From bombings in London to an attack using a car as a weapon in New York, as long as the guilty parties have brown skin, or are assumed to be non-Christians, he has no issue pointing the blame and calling them terrorists. Unfortunately, the truth doesn't fit nicely into his rhetoric. In America, you face a greater threat from a terrorist that lives in the middle of town rather than the Middle East. In fact, according to a recent study, murder by right-wing extremists, including white supremacists jumped 157% between 2016 and 2017. And their death count was far higher than any other extremist group including domestic terrorists who claim they fight in the name of Islam. Additionally, since 2008, right-wing extremists were responsible for 71% of the 387 murders attributed by extremist groups in the US. So why won't Trump call the Parkland or Las Vegas shooters terrorists? According to the Oxford dictionary, terrorism is defined as "the unlawful use of violence and intimidation, especially against civilians, in the pursuit of political aims." There is no religion or skin color inherently attached to the meaning. But our president continues to pick and choose when it comes to how he defines those who commit mass violence on the American people. Tragedies from terrorism shouldn't be used as political tools to forward a specific narrative. And those who commit violence against Americans, whatever their skin color or religion, should be called out as extremists and terrorists. The massacre in Parkland is a clear, textbook act of terrorism and Trump should call it as such. Failure to do so is tantamount to lying to a grieving nation. Let's ask Trump to stop picking and choosing when to call an event terrorism, and instead, tell him to speak the truth. Sign the petition to tell Trump to call the Parkland shooting an act of domestic terrorism. 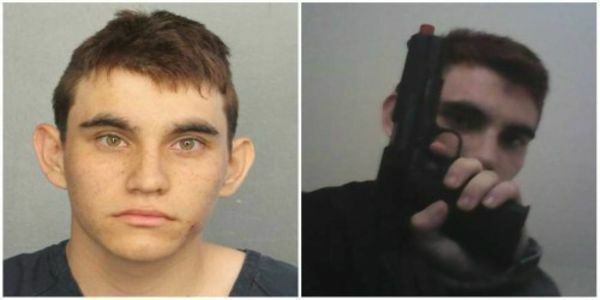 More revelations have surfaced about the horrific abuse Cruz inflicted on animals before he became the Parkland shooter. They include setting his dog on a piglet and shooting small animals including chickens, squirrels, and frogs for fun. The FBI recognizes a strong link between animal abuse and abuse against humans. Don't stop sharing this petition. Thank you for caring.